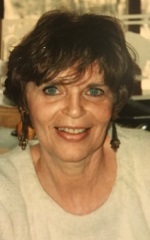 Obituary for Jean Haun | Seamon-Wilsey Funeral Home, Inc.
SAUGERTIES….. Jean Haun, 81, of Haun’s Hill Road died Sunday, January 27, 2019 at the Ferncliff Nursing Home, Rhinebeck, NY. Born March 7, 1937 in Manhattan she was the daughter of the late Paul and Johanna Brauer Jackson. A Saugerties area resident since 1945, Jean was raised by her Mother, Johanna Brauer Laumer and her stepfather, Josef Laumer. She was a graduate of Saugerties High School, continued on to college and earned her Masters of Education at SUNY New Paltz. She was employed for several years as a teacher in the Saugerties Central Schools Consolidated. Active in the community she served as a President of the Saugerties Little League, was a member of the Saugerties Bowlers Club and was inducted into the Saugerties Bowlers Club Hall of Fame. She worked as a seamstress for the costumes worn at the Woodstock Playhouse, the Elmsford and Rhinebeck Theatre’s. Predeceased by her husband, George in 2016, survivors include 2 Sons: Steven of Saugerties and Eric (Laura) Haun of Randolph, NJ. 3 Grandchildren: Gene, Taylor and Dylan Haun. Half sisters Loretta, Mary Sue and Judy. Several nieces and nephews also survive. She was predeceased by her Sister, Erika Hinchey and half brother Bob. Her Funeral Service will be held 10:00 AM Friday at the Seamon-Wilsey Funeral Home, Inc. Cor. of John & Lafayette Sts., Saugerties. Friends will be received Thursday 2:00 – 4:00 and 7:00 – 9:00 PM. Interment will follow in the Blue Mt. Cemtery. Expressions of condolence may be shared with the family @SeamonWilseyFuneralHome.